As a way to honour the memory of the Humboldt Broncos and also recognize the incredible impact sports, especially Hockey, have on our culture and our communities; Jack Carter Chevrolet will be making a $250 donation for every hockey stick left at their door until they reach their goal of $55,000. Also, in partnership with their associated stores; Canyon Creek Toyota, Rocky Mountain Honda Powerhouse and Pro-Am Motorsports / Adventure Honda, they will continue to accept sticks all week at all locations. All sticks will, in turn, be donated between Comrie’s Sports Equipment Bank which supports KidSport Calgary for less fortunate kids in the Calgary area and The Hockey Foundation which promotes hockey internationally in non-traditional areas like India and South America. These stick donations will be made in memory of the Humboldt Broncos. If anyone would like to donate a hockey stick or two but cannot deliver, please call Gina at 403-926-1062. I will arrange for pick up and delivery of your donation. A GoFundMe campaign was also started to help the victims of this terrible crash and their families. 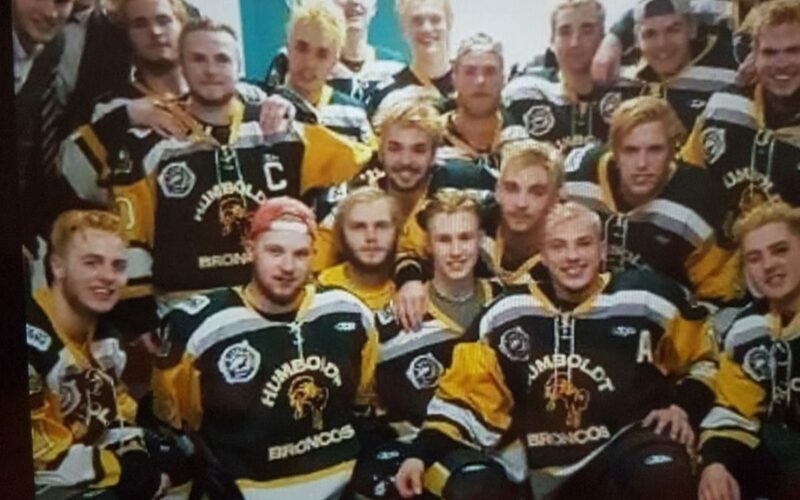 With donations coming in from over 65 countries and more than $8 million raised so far, this is now Canada’s largest crowd-funding campaign ever, with proceeds going to the families of the Humboldt Broncos. For those who would like to donate directly to the Broncos, please visit the Broncos GoFundMe page.